Manila – Since its inception in 2004, the Friendly Borders Organization (FBO) has aided in educational missions and generated programs to help educate younger generations. Through numerous journeys to different countries and from personally witnessing the slow death of beautiful traditional cultures and languages, the organization is determined to help preserve these cultures and languages from extinction. 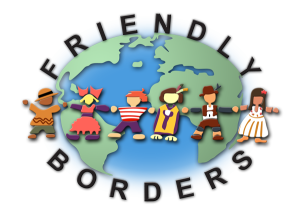 Friendly Borders was established to help prevent the death of cultures and languages by exposing its readers to the cultural diversity found all over the world. Both existing and vanished ethnic groups, ethnolinguistic groups, languages, and immigrant groups in various countries are collectively chronicled through its educational website www.friendlyborders.com. Each group, whether minority or dominant, was given voices to attract attention and provide readers with a better understanding, as well as to inspire the pursuit of further studies of its content or related materials. Over the last couple of years, countless communities have been threatened by the inroads of modernization, at which point these threatened communities could disappear in the near future due to assimilation. Friendly Borders hopes that all the information presented will help people and their communities and empower them with the knowledge that their language, traditions, and culture are important. Every culture on this Earth has contributed something important to humanity. Thus, the more we learn and understand about other cultures, the better we become as individuals. Each year, younger children learning linguistic traditions from their elders become fewer and fewer. While other languages have been successfully rescued from near extinction (Hebrew, Maori, and Cornish, to name a few), others were left to die because the speakers no longer perceived them as beneficial. As a consequence, when one language dies off completely, so does the very culture from which they sprang. Imparting to children their native tongue is teaching them the importance of their origins and community, as well as the beauty of their culture. Friendly Borders strives to motivate elders and people across the globe to continue to pass on their native languages to their children to prevent them from being endangered. The thousands of ethnic groups listed on the website seek to spark further interest and deeper exploration among its young and old readers, students and culture aficionados alike. The website also serves as a podium for local and international groups that badly need to be heard. A successful project of Friendly Borders is Ethnic Groups Philippines (EGP). It provides a profile of facts, figures, and intelligent trivia, as well as information on festivals celebrated throughout the country. Materials such as photographs, articles, and essays that highlight the Filipinos’ way of life are all documented for those interested to learn about the Philippines and its citizens. Furthermore, a documentary about people and their lifestyle with the intent to promote culture is an impending project of Friendly Borders in the near future. Everyone is encouraged to help people learn more about our cultures and languages. Additional valuable materials, such as photographs, articles, or any available information about culture in general are a big help to give your ethnic groups or another group a voice. For the team at Friendly Borders, devoting to this project and doing something for the world is the motivation that keeps them going.